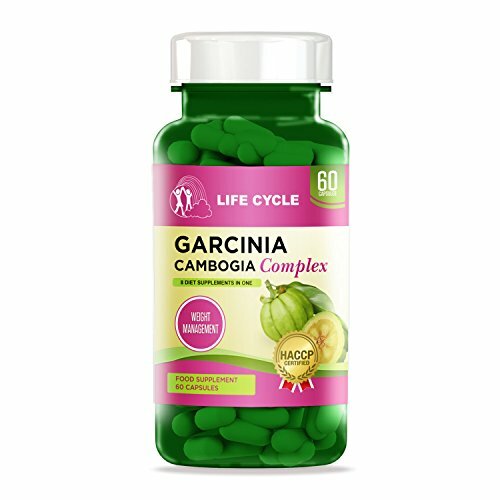 Life Cycle®The Most Effective Garcinia Cambogia Product Available! Garcinia Cambogia is a natural appetite suppressant that curbs cravings for sugary and fatty snacks. It inhibits fat storage while increasing your fat burning metabolism. Garcinia Cambogia is highly effective when combined with certain carefully selected fat burning ingredients, it multiplies the effectiveness many times over. Our nutritionists have combined Garcinia Cambogia with a unique blend of ingredients to produce one of the most effective weight loss supplements. What is in this Amazing Weight Loss Complex? Each of these ingredients are effective but combining them with Garcinia Cambogia has a synergistic effect, which enhances the effect of each ingredient many times over, resulting in a weight loss and fat burning super supplement. Increases serotonin levels to boost your feel good factor. WARNINGS: Food supplements must not be used as a substitute for a varied and balanced diet and a healthy lifestyle. Not recommended for use by pregnant or lactating women. If you are taking any medications, please consult a doctor before use. Discontinue use and consult a doctor if adverse reactions occur. Not intended for use by persons under the age of 18. Keep out of reach of children. Store in a cool, dry place. Disclaimer: These products are not intended to diagnose, treat, cure or prevent any illness or disease. for diagnosis or treatment consult your physician *This supplement does not claim to be able to allow you to miraculously lose weight while living the lifestyle that you want to. The supplement is for weight management and can support your weight loss plan through the use of this supplement and healthy lifestyle changes combined. You must adhere to a varied & balanced diet with some moderate daily exercise.